Florida Native Wildflowers, Landscaping shrubs, trees, and grasses for attracting butterflies, hummingbirds, pollinators, and other wildlife. Thank you all for a great year. PLANT HABITAT ! Our mission is to provide the area with landscapes that are real Florida. Landscapes that are sustainable without the use of harsh polluting chemicals, unnecessary watering, and provide habitat for pollinators and other wildlife. Stop Fertilizing! Plant Native Plants! Plant Habitat! Florida Native Plants provide all the benefits for healthy gardening. 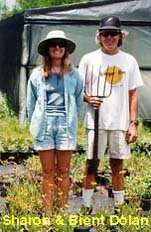 Maple Street Natives established in Brevard County, Florida since 1987. Plant Real Florida! !